MARCH 2007 -- Governor Rell has submitted her proposed budget for the next two years to the General Assembly. Most everyone has found something about it they do not like. It is, however, only a proposal. The General Assembly must pass a budget and submit it to the Governor for approval. The Governor may veto the budget and send it back to the general Assembly, but this seems unlikely this year because, based on political lines, there are enough votes in both the House and the Senate to override any vetoes Governor Rell might make. Several bills have been filed concerning the budget and the Appropriations Committee is holding hearings on the budget requests by the various State agencies. Normally the budget is one of the last items considered by the General Assembly because it must take into account the costs of everything else the General Assembly passes. Governor Rell has proposed eliminating local property taxes on passenger cars and private pickup trucks and replacing the revenue the towns will lose with State grants. That’s the good news, but the bad news is the money for the grants will have to come from someplace, and “someplace” is still the taxpayers’ pockets. 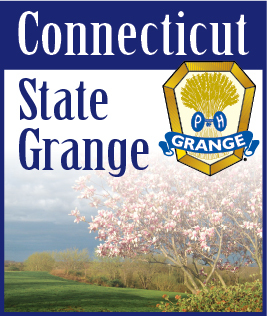 Over the years the Grange has passed several resolutions urging the State to fund any mandates it imposes on the towns rather than forcing the towns to increase property taxes to pay for these programs. But it is still the taxpayers who must fund these programs, either through increases in their local taxes or increases in their state taxes. The only real choice to fund these programs is what route the funds are going to take to move from the taxpayers’ pockets to the program costs. Do we want each town to fund their own share of the programs and keep the money at home, or do we want the money to flow through the State coffers before it comes back to the towns? The cost of maintaining existing programs is going to rise. Both the State and the towns must pay more for most everything they use. Just as with our own families, the State and the towns are hit with increased prices for electricity, fuel oil, gasoline, diesel fuel and similar costs. Employees must be paid more just to keep them even with the increases in the cost of living, so the government has higher costs for salaries and fringe benefits for the same number of employees. Governor Rell has also proposed a significant amount of new bond authorizations, including $10 million each year for farmland preservation. Bonds are IOU’s issued by the State and are necessary for many large purchases, similar to an individual getting a mortgage to purchase a new home or a loan to buy a new car. But a bond authorization does not put cash in the till. It merely authorizes the State Bond Commission to give the State Treasurer permission to sell bonds in the open market. Only after the bonds are sold is the cash available to pay for whatever the bonds were designated for. Although the Bond Commission has authorization to sell many bonds, their decision on how many bonds to permit the Treasurer to sell is based to a great extent on the market and how much interest the State will have to pay on those bonds. If the State sells too many bonds at one time, its credit rating will drop and investors will want a higher interest rate on their money because they are taking a greater risk. It’s the same idea that a person who takes on too many loans and then finds their credit score lowered and their interest rates raised. Some members of the General Assembly have suggested tapping the State’s “rainy day” fund to pay for current services, but this is like a family using savings set aside for emergencies to meet their everyday living expenses. Some families have already done this and have been living from paycheck to paycheck for many years. If an emergency comes along, they have nothing to fall back on. Do we want the State to do the same thing? The bottom line is that the only way to reduce taxes overall is to reduce spending, and the only way to reduce spending is to reduce services. As taxpayers we have to pay for whatever services our government provides. How much are the services worth to us? It’s a decision we each have to make and we will never reach a point where everyone is in agreement.